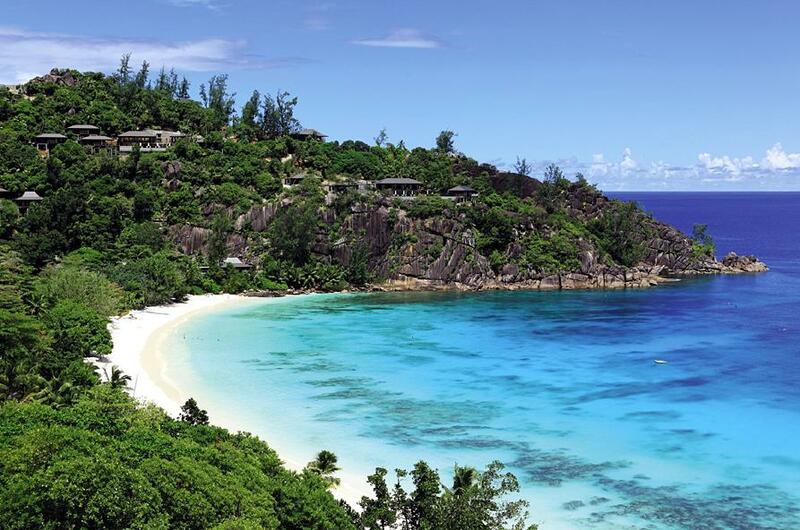 Mahe is the largest Island in the Seychelles featuring idyllic beauty with stunning white sandy beaches, crystal clear water and spectacular mountains that truly make it the ultimate tropical island villa vacation destination. There is an array of adventure opportunities such as diving with whale sharks, yacht excursions and coral reef snorkeling. If taking it easy is more your style, there are world-class luxury spas on the island to cater to your every need. 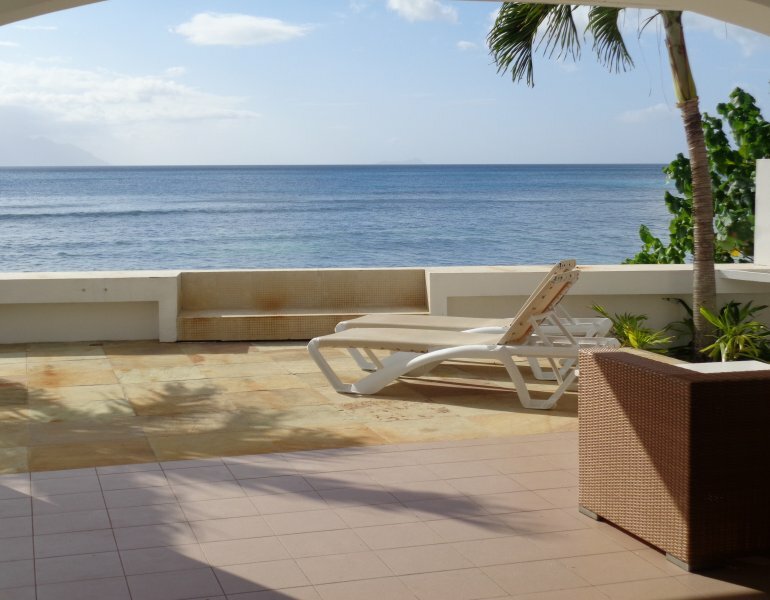 All our luxury villas on Mahe are either absolute beachfront or have breathtaking views of the ocean. Contact us now to plan your dream Mahe Island Villa Getaway today. Ideal for family vacations and longer stays, Five-Bedroom Residence Villas offer the exclusivity of a private home, with spacious comfort for hosting large groups of family and friends. 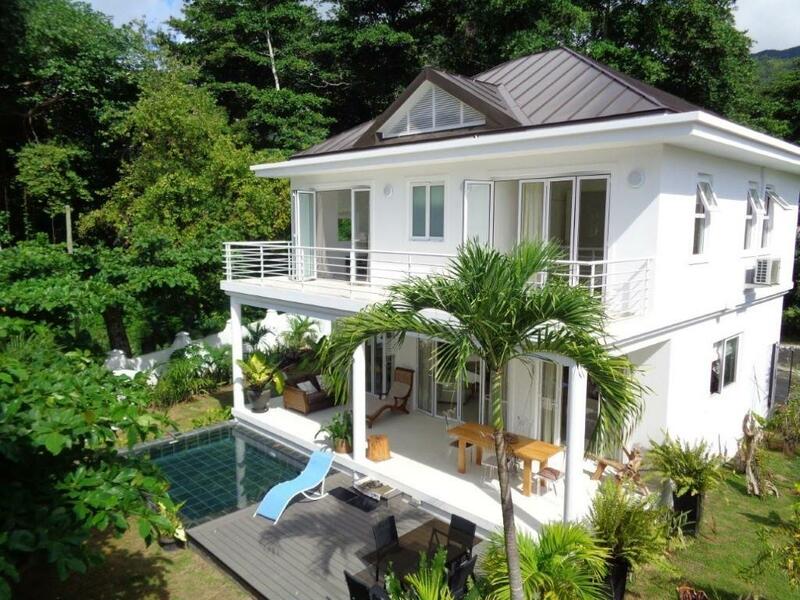 Set in Beau Vallon on Mahe Island and only 50 m away from the beach, this luxury villa overlooks the Indian Ocean and features a sun terrace with private outdoor pool and hot tub. Built on a secluded rocky peninsula with panoramic views over the Indian Ocean, Sea Monkey is the definitive luxury retreat. 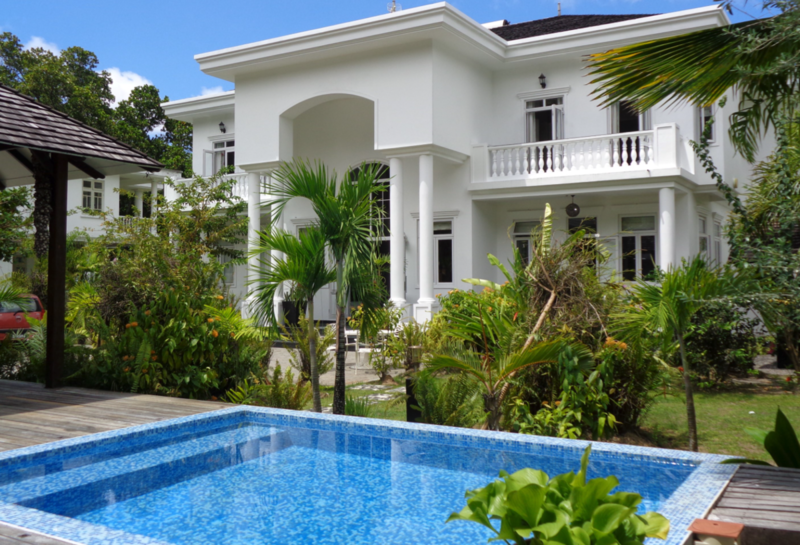 The villa is nestled amongst lush vegetation,just metres away from the sea. 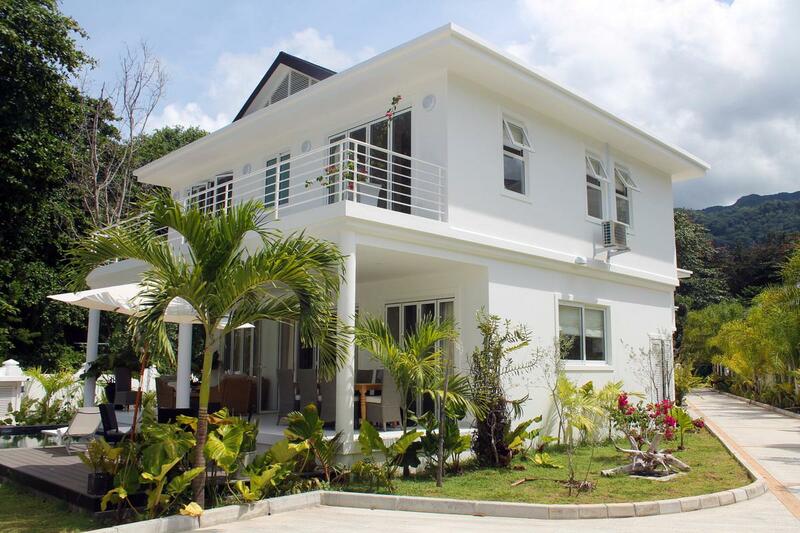 The villa is an unique beachfront property with stunning view to the ocean and private access to the beach. Anse Royale Beach Anse Royal Beach is on the south eastern coast of Mahe Island and has some of the best snorkeling spots on Mahe. There is an area of the beach known as Fairyland which consists of a group of beautiful rocks that lead out to a small island. This area is great for snorkeling with breathtaking rainbow coloured fish and corals. 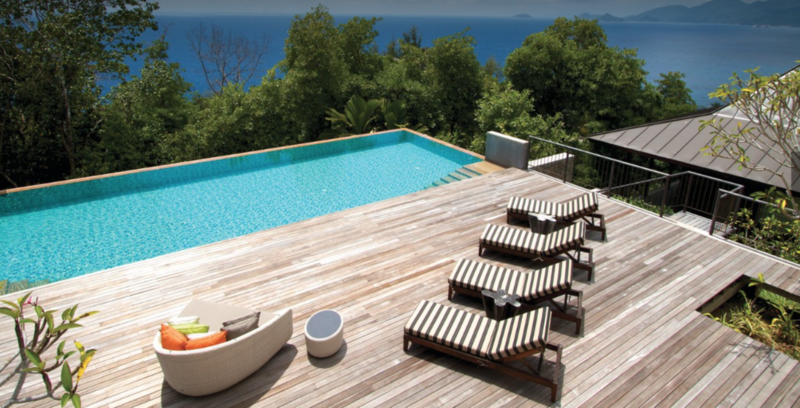 All our luxury villas on Mahe are either absolute beachfront or have breathtaking views of the ocean. 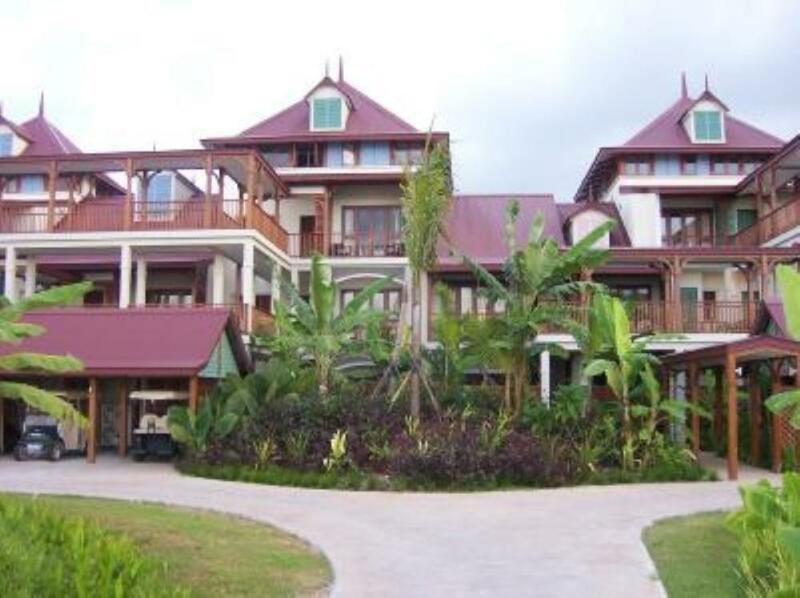 Contact us now to plan your dream Mahe Island Villa Getaway today. Beau Vallon Beau Vallon is one of Mahe's most popular and beautiful beaches. It is 3km long and shaped like a crescent with sparkling white sand, turquoise water and lazy coconut palms. It’s a great beach for the whole family with designated swimming areas and lifeguards on watch. A perfect beach to relax with a good book or try sailing, snorkeling or diving and when you get hungry there’s a cute little pizzeria right on the beach which is also a great place to view the sunset. Other Mahe beaches to visit are: Anse Intendance and Anse Takamaka. 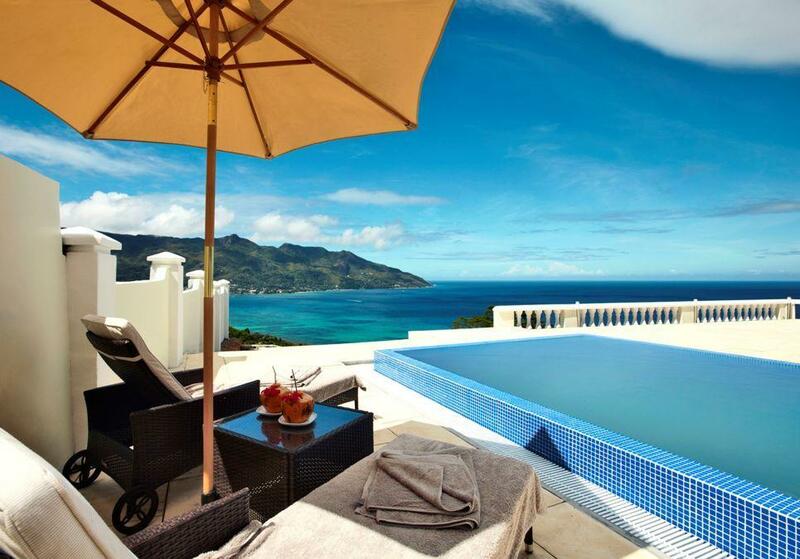 All our luxury villas on Mahe are either absolute beachfront or have breathtaking views of the ocean. 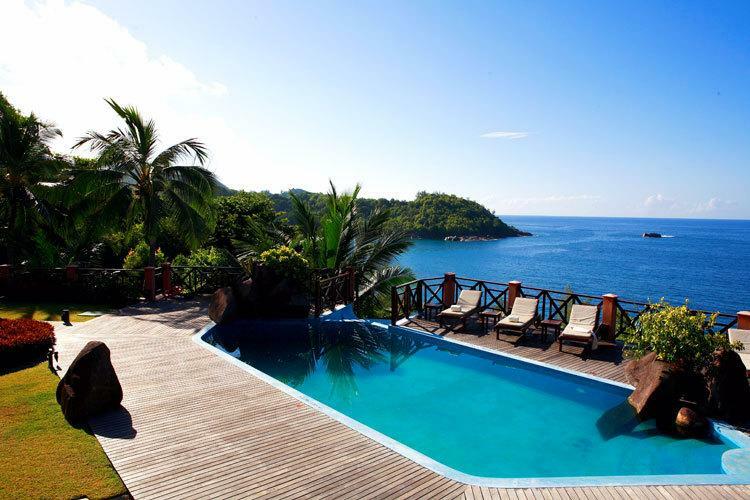 Contact us now to plan your dream Mahe Island Villa Getaway today.